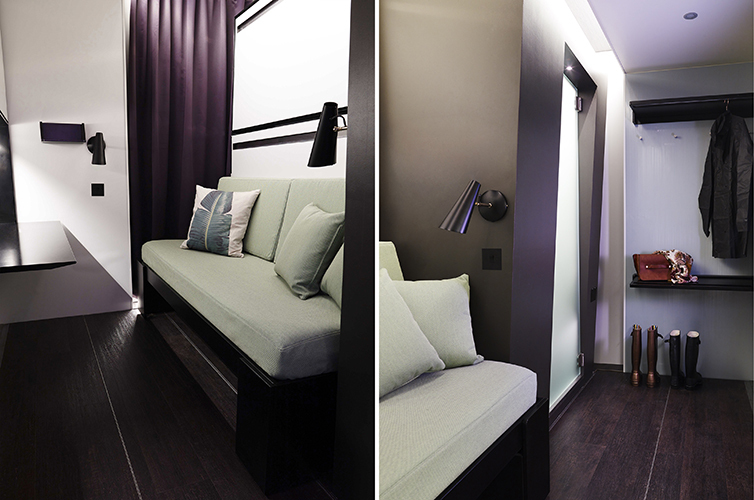 Hotel room design for innovative portable hotel company Snoozebox. 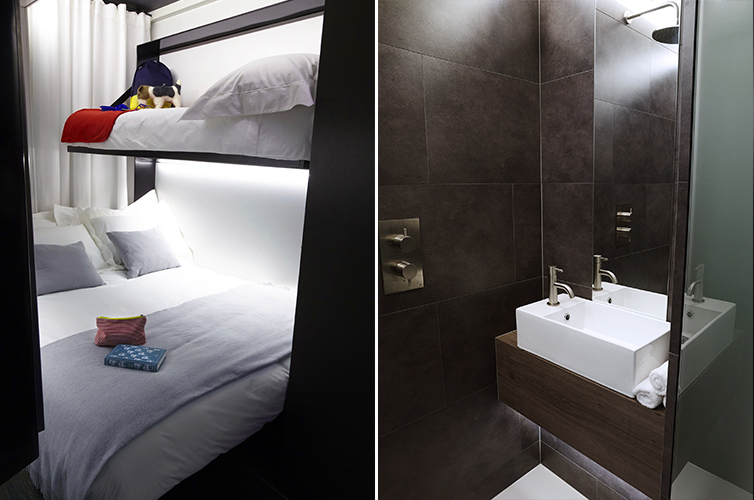 tangerine’s reputation for delivering outstanding experience in tight spaces saw its design team tasked to produce a sophisticated hotel room inside a mobile container measuring just 3.6m x 2m x 2m. The room had to offer adaptable configurations – all ensuite. And to make the design challenge really interesting, the whole thing must fold in half for easy transportation to put guests at the heart of the action, whether it’s a festival or a sporting event or special occasion. Matt Round, tangerine Creative Director, came up with an ambitious proposal that went far beyond the original demand for a series of adjustable beds. The idea was to redefine the whole guest experience – everything from the design of the fixtures and fittings to the colour palette and the atmosphere. Achieving it required some cunning and creative design solutions. Fold down beds, hidden within super-sleek metal frames integrated into the walls, are achieved by exploiting specialist laser-cutting and folding processes. 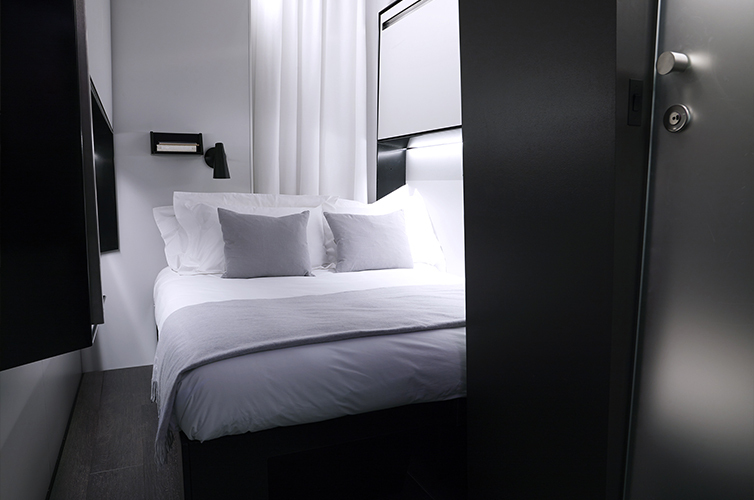 The beds are accessed with pull-down handles disguised as shadow lines, transforming the space into a bedroom for up to four people in 7 different configurations. The bathroom is designed as a luxury wet room with a flared wall giving a sense of spaciousness but also providing a dry hanging area for towels and clothes. The accommodation comes in three finishes to suit different clients, with flooring and fabrics sourced by tangerine from some of Europe’s top design houses. 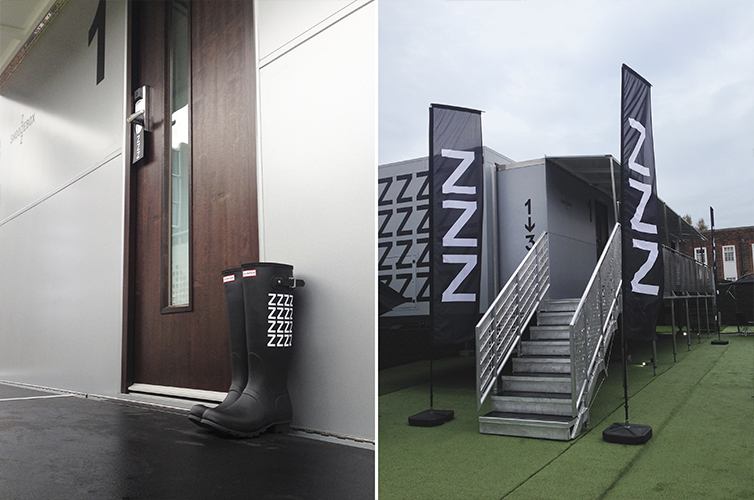 “Trying to put Snoozebox guests at the heart of the action required some innovative thinking and design leadership,” says Snoozebox CEO Lorcán Ó Murchú.